WASHINGTON — If you’ve ever seen the astonishing array of infant formula sold in supermarkets, you might wonder if the stuff can really make your baby smarter, allergy-proof, or less colicky, as advertised. The Food and Drug Administration wonders the same thing. On Thursday, the FDA suggested that the $3 billion infant formula industry consider proving its claims before selling the products. In an unusual move, the agency served up a set of scientific standards for infant formula manufacturers to meet, before touting their products for treatment or prevention of certain medical conditions. This draft proposal suggests that manufacturers conduct research trials and otherwise gather evidence to back assertions of how their products actually function in a baby’s body. Manufacturers and others have 60 days to comment, before the agency adopts a final guideline. The move marks the first time that the FDA has proposed a standard, even a voluntary one such as this, for companies making health claims about a specific food. (The FDA did develop a standard for dietary supplements broadly.) In recent years, formula manufacturers have increasingly developed specialized products, often with vitamins, other nutrients, or additives, which they target to parents eager for their babies to have superior immune systems, digestion, or brains. Agency spokeswoman Lauren Kotwicki said the FDA has seen an increase in the use of health claims on infant formula labeling and that manufacturers who want to use such claims have asked the agency how to substantiate them. 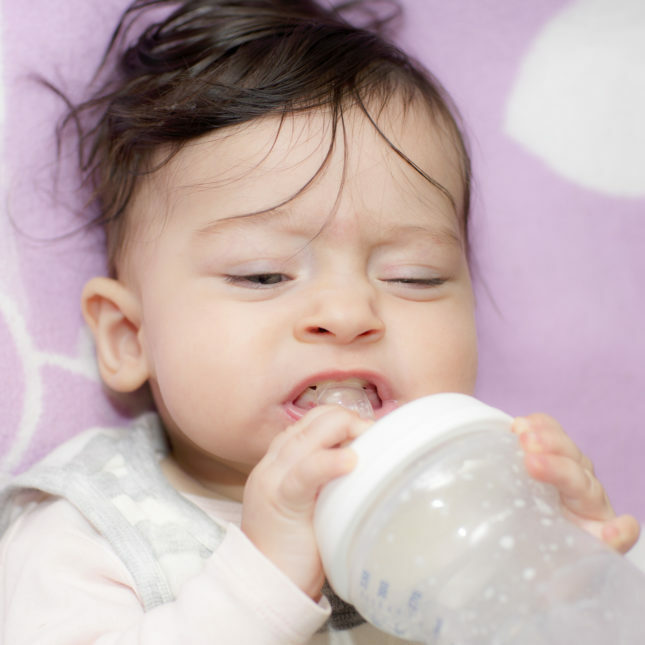 The FDA’s action follows publication of a report in the May 2016 issue of Clinical Pediatrics, which studied the labels of 22 infant formula products and found that 13 made claims about treating colic and gastrointestinal symptoms without proof. Dr. Peter Belamarich, a professor at Albert Einstein College of Medicine and the study’s lead author, welcomed the FDA’s action. Belamarich, who works at the Children’s Hospital at Montefiore, said he sees plenty of confused parents.